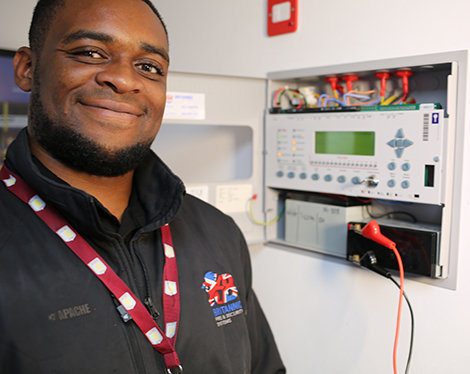 With over 25 years in the industry, Britannic Fire & Security have the knowledge, history and expertise to offer an unrivalled service across our hometown in Solihull, as well as across Birmingham, Coventry and further afield. Our engineers are ideally situated across the area to offer a personal, friendly service on your doorstep with NSI Gold accreditation to back their work. Our work in the Solihull area has earned us a reputation for excellence, we continue to maintain this standard by using dependable and proven burglar alarms to ensure peace of mind from day one. For customers with budget constraints, we can offer cost-effective options which can be scaled over time when budget allows. NSI (National Security Inspectorate) is an accreditation body that certifies security companies allowing them to install a variety of security products. Britannic Security are approved to NSI Gold Standard, meaning we have a proven track record of performance, reliability and stability. We install trusted systems to watch over your property. Choosing a reputable burglar alarm installer is a vital step in securing your property - if you have any questions, you can contact our experts at our Solihull based office or speak to us in-store. We believe our service is second-to-none, offering both home owners and business owners with sophisticated burglar alarms and security systems that are trusted and proven, without breaking the bank.